Painting a plain precast wall can spruce up an area or make it blend in with the rest of the area's décor. 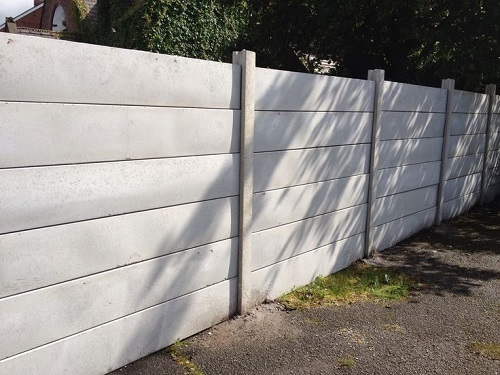 However, there are some things to consider when painting plain precast walling. You must choose the appropriate type of concrete paint, determine if the wall is sealed from moisture and apply primer prior to painting the wall. Use these tips to paint a plain precast wall. 1. Choose paint for your project. 2. Clean the precast wall. For exterior projects, use a power washer to rid the wall of all dirt and dust. If your project is indoors, scrub the wall with soapy water and a scrub brush instead of using a power washer. 3. Repair any cracks or blemishes in your precast wall with concrete patch. Follow the directions to mix up the concrete patch mixture. Fill holes and use a trowel to smooth the patch to match the surface of the wall..
4. Check the wall for moisture. Paint applied to a plain precast wall that is not properly sealed will not adhere properly. Check the plastic after 24 hours. If moisture appears within the plastic, you will need to seal the wall. If no moisture is present, the plain precast wall is already sealed. 5. Seal the precast wall. Roll on 1 coat of concrete sealer and allow it to dry overnight. Concrete sealer is available at most hardware or home improvement stores. 6. Apply 1 coat of concrete primer. You can use rollers or brushes to apply the paint. Ensure the primer is applied evenly, whichever technique you use. Let it dry for 24 hours. If you can see the wall through the primer, apply 1 more coat. 7. Paint your plain precast wall with concrete paint. Paint should be applied in at least 3 thin layers. The paint may be sprayed on, rolled on or painted on with a brush. The paint should not be streaky or show brush strokes. Allow to dry for 24 hours. 8. Roll on concrete paint sealer. Cover with 2 coats, allowing it to dry between coats. 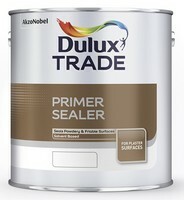 Paint sealer helps the paint to adhere to the precast wall and last longer.